A series of exciting changes are in the pipeline for School Travel Organiser, with Primary and Secondary schools set to get their very own editions from September. From the start of the new school year this autumn, the School Travel Organiser magazine will increase its frequency and publish monthly. What’s more, each edition will become much more targeted, with the magazine focussing on school trips and learning outside the classroom ideas for Primary school children one month, then Secondary pupils the next. The evolution of the magazine into School Travel Organiser Primary, and School Travel Organiser Secondary, means that content will become more relevant and more tailored for readers and advertisers. Teachers of Key Stage 1 to 2 will find pages and pages of ideas and inspiration for educational trips and visits one month, while the pages will be tailored for Key Stages 3 to 4 the next month. In addition, distribution will increase to deliver both versions of the magazine to even more schools, across the country. The School Travel Organiser team is currently updating existing databases so that teachers and educational visit coordinators receive the correct version of the magazine automatically. Schools that bridge the Key Stages will get all the editions through the post. And of course, both versions will be available online as an e-magazine. “Educational travel is a sector that’s constantly innovating, and it’s a culture that’s infectious. The team here are always striving to innovate, too,” explained Rob Yandell, School Travel Organiser publisher. Both the Primary and Secondary editions of School Travel Organiser will be crammed with case studies, itinerary ideas, teacher tips and the latest research into learning outside the classroom. The annual School Travel Awards brochure will be circulated in both magazines after the lunch and ceremony in November. 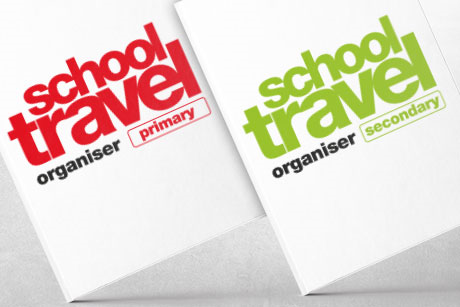 The first edition of School Travel Organiser Primary will be produced in early September, just in time for the new school term followed by the new look Secondary version shortly afterwards. To register as a regular reader and guarantee your copy go to www.schooltravelorganiser.com/register.